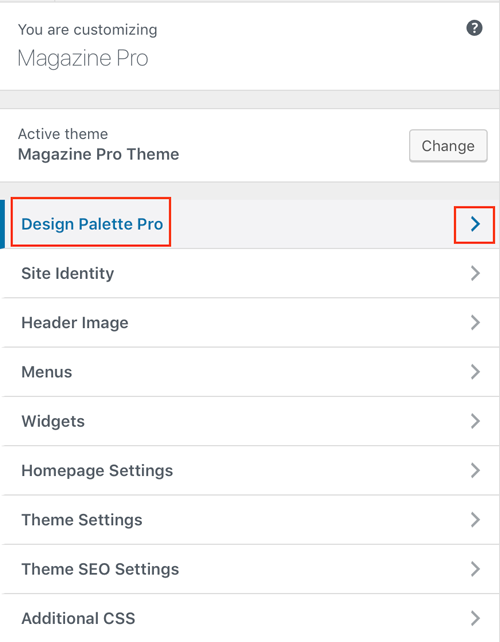 The Design tab will take you to the classic Design Palette Pro style editor where you can start making style customizations! The sections listed on the left are a combination of base Genesis Framework and styles + widgets unique to the child theme set in the Settings. 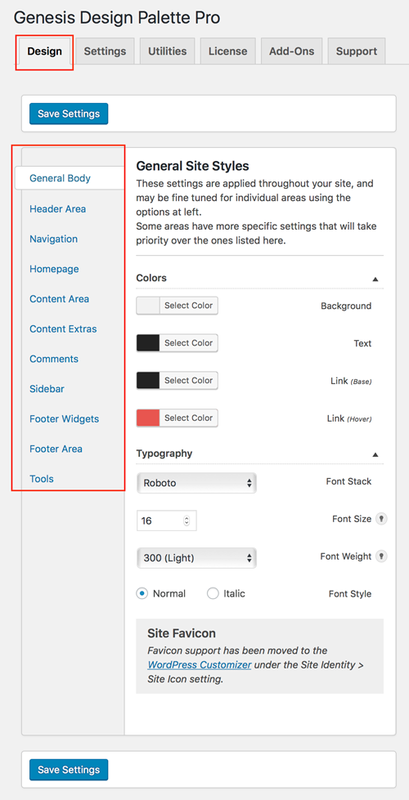 If the Enable Customizer [beta] has been enabled, selecting the Design tab will redirect to the WordPress Customizer. The Customizer settings are the same as the classic style editor but have a more minimal style interface.